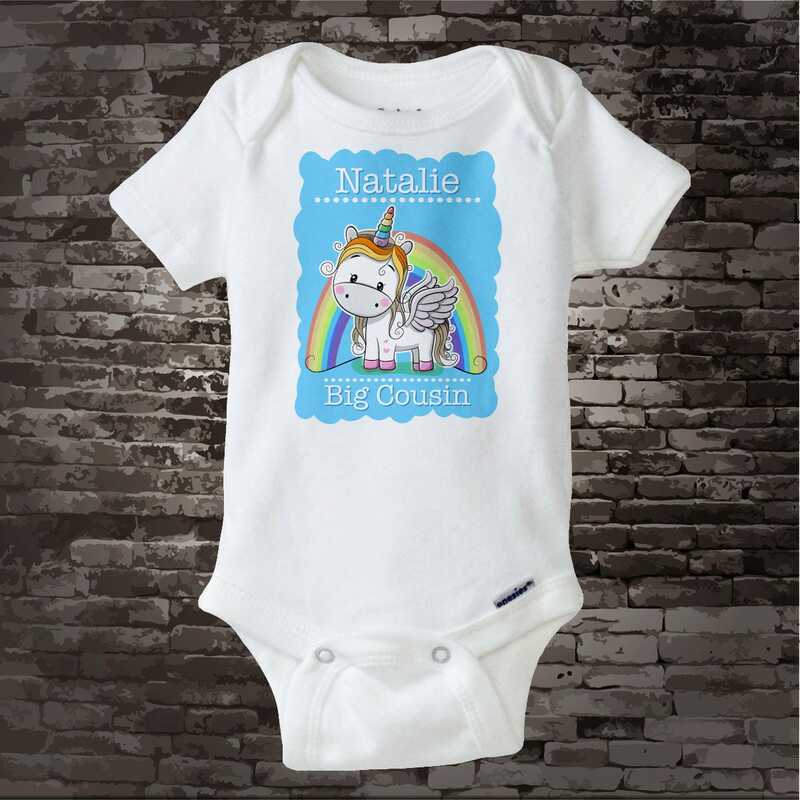 Cute Personalized Rainbow Unicorn Big Cousin tee shirt or Onesie. 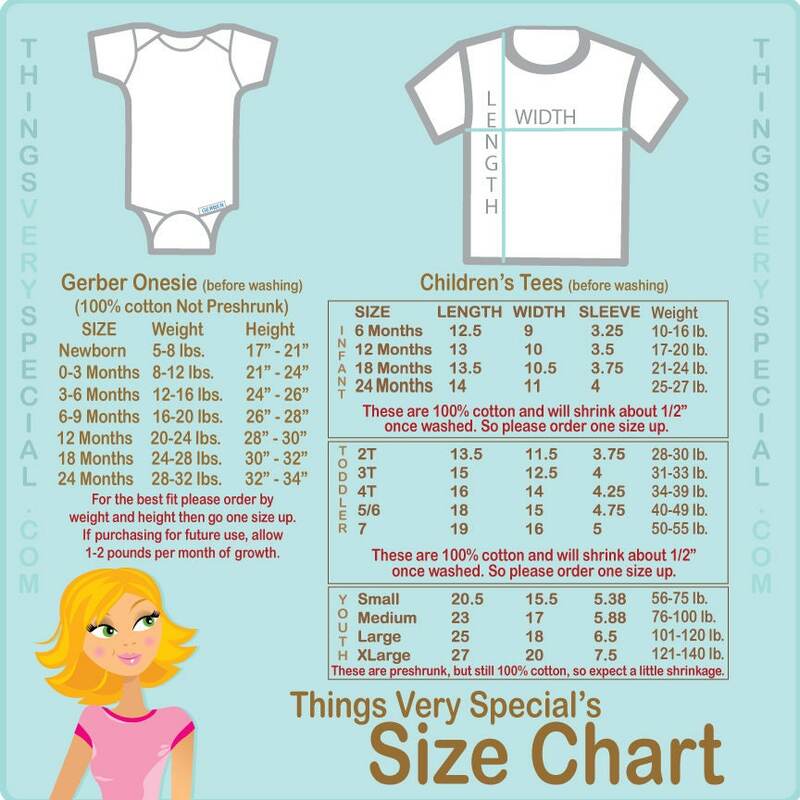 Cotton tee shirt or Onesie Bodysuit with short or long sleeves is personalized with the child's name. 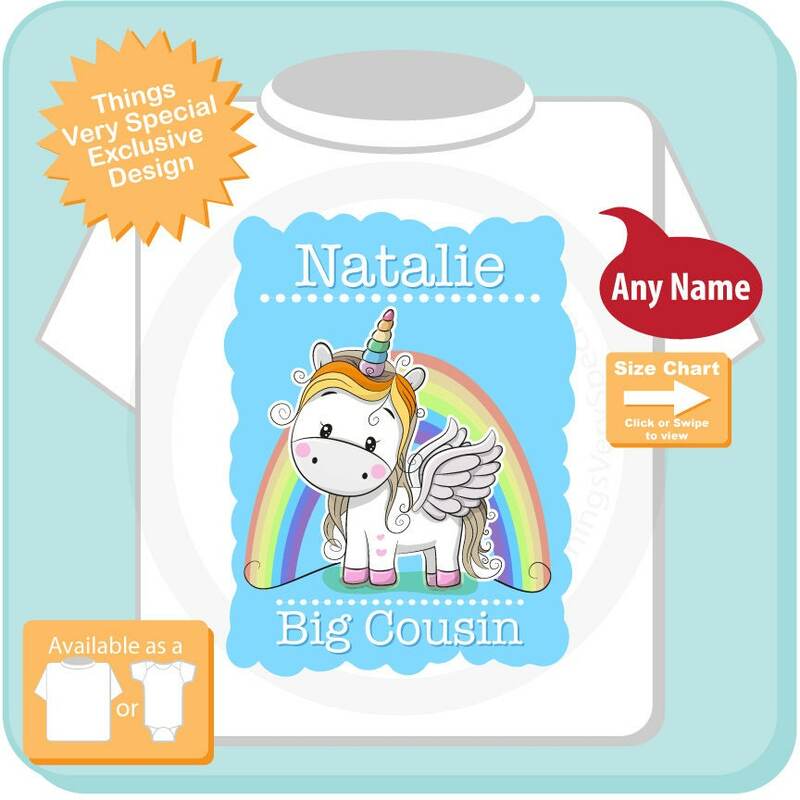 This design is a cute little unicorn with a rainbow behind it and a blue background. Name you would like on the item, if no name please state no name. Thank you! 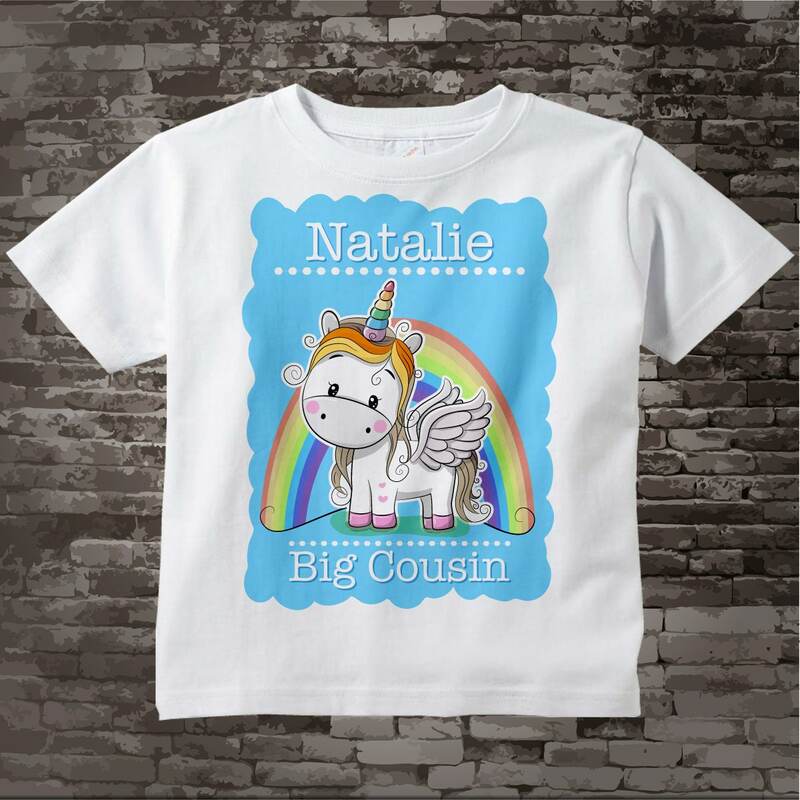 This made a perfect newborn gift for Lily’s cousin!